The Capital Boutique hotel in London welcomes guests of all ages. With twin rooms, interconnecting rooms and spacious suites we have something to suit families of all sizes. Our Superior Junior Suites comfortably sleep 3 adults or 2 adults and 2 children with two bathrooms and plenty of natural light. 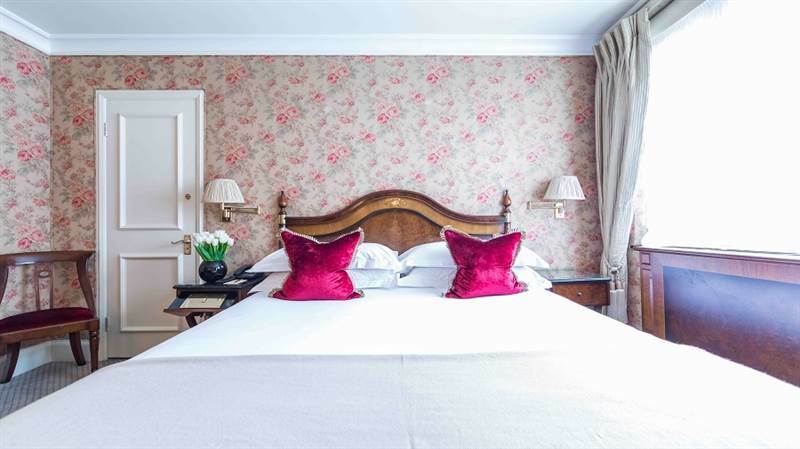 The Apartments are ideal for those looking for more independence while still benefiting from all the services and amenities of this London family hotel, the recently refurbished two bedroom suite can sleep up to six. The brand new two floor Penthouse offers 1700sqft / 157sqm of space including a large living area, kitchen/dining with plenty of space to entertain and two roof terraces with views of the Knightsbridge rooftops. Comfortably sleeping six it is suited to families and friends alike. Miniature bathrobes and slippers are provided for our youngest guests. Our spoiling Knightsbridge location is ideal for exploring the city. The museums of South Kensington are a short walk away as are Hyde Park and Kensington Palace & Gardens, perfect for entertaining the whole family, while the Piccadilly Line (1 minute) will whisk you across London in no time. Our reservations team will be happy to discuss your family's needs and help plan the perfect break.